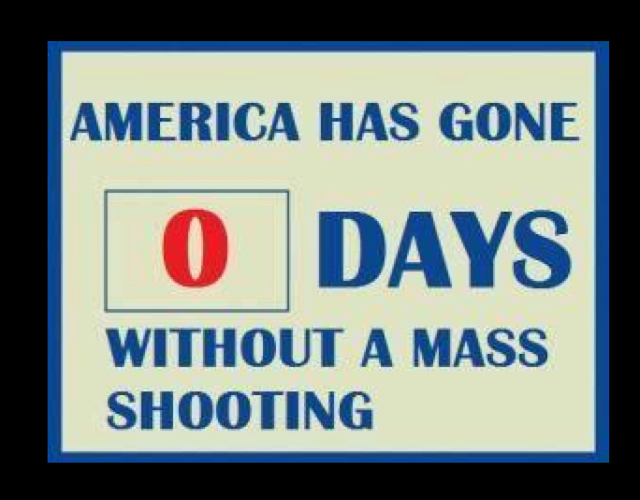 Seems like we have to reset this one every few weeks and that’s not normal or OK.
Once again, Americans are reeling at the sight of another mass shooting. In what’s become all-too-commonplace, we react with horror, sorrow, anger, and discussion, but at the end of the day, we all know this will happen again. President Obama said as much during his remarks addressing the shooting in Oregon, and regardless of your politics, every American probably agrees with Obama when he said it’s likely he’ll have to address another mass shooting before his term is over. However, in our efforts to end the horrific violence caused by guns, we address a few key issues: the ease in which potential shooters access guns, how we handle mental illness in the United States, and whether any reasonable limitations on gun ownership are appropriate if it means preventing another mass shooting like we’ve seen across the country, year after year. The following piece attempts to address a few key issues. First, we must try to find a way to prevent mass shootings from ripping apart communities across the country and if reasonable gun legislation is off the table (despite overwhelming support in most parts of the country), we need another solution. We simply cannot accept mass shootings as normal, or something that cannot be prevented because the Second Amendment prohibits the adoption of any legislation preventing some individuals from accessing firearms. The piece takes a look at perhaps a key psychological reason why it’s so challenging to pass reasonable legislation aimed at ending the scourge of gun violence affecting Americans every single day. Additionally, we must consider our rhetoric towards guns–especially the paranoid notion that someone is coming for them–which may–or may not–be contributing to gun-related violence in the United States. What’s laid out here isn’t a series of concrete solutions to gun violence, but perhaps it will provide us with an outlet for deeper discussion–on both sides of the aisle–on what can be done to make sure we can end the evils of gun violence and mass shootings in the United States.